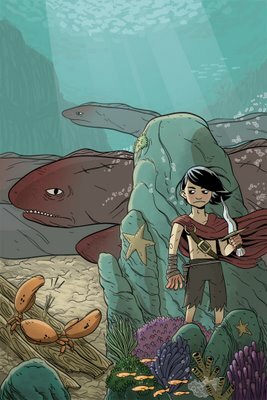 I did a pinup for the book "Aqua Leung", coming out later this year by Mark Andrew Smith and Paul Maybury. The short story in Popgun Vol. 1 was awesome, so I had to take a crack at drawing the character. Inked in Illustrator, coloured in Photoshop. Enjoy!